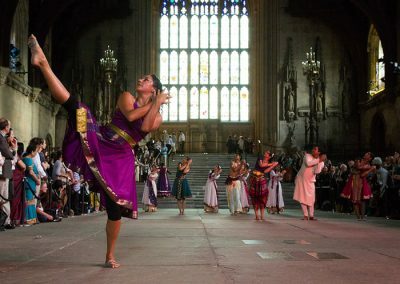 MAAYA supported by Seven Islands Vintage was specially curated as part of the 2012 London Olympics celebrations on 5 July 2012. This site specific piece was a creative journey encompassing the richness of a vivid sensory experience, projecting the aesthetic values of contemporary Indian culture into the distinguished space in the heart of Westminster Hall. 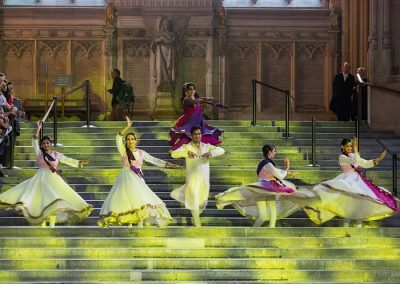 Section one: An undulating wave of colour – A vibrant avalanche of dance forms burst forth, gradually settling into an undulating wave of colour. 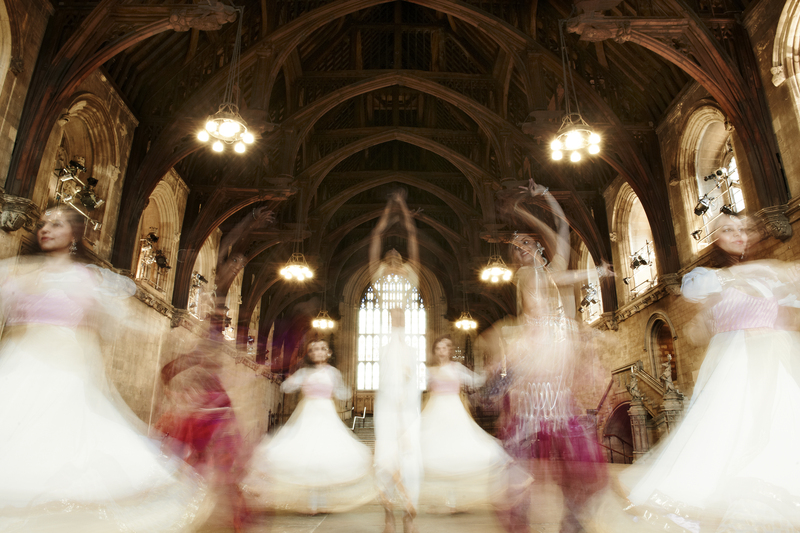 Section two: Inner tranquility – The wave of colour subsides and each dancer serenely explores the space. A processional tableaux portrays the inner tranquility of a calm mind. We are friends with ourselves. Section three: Intimate rapture – An intimate rapture arises out of a circulating mêlée of blurred motion. Experience harmony, swirling into a blissful trance of colour. 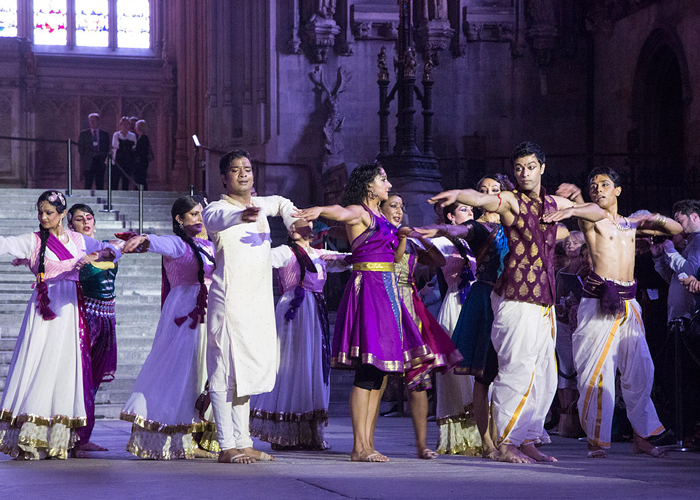 Section four: FINALE by Priyadarsini Govind – Maaya culminated in a finale performed by eminent, visiting Indian dancer Priyadarsini Govind. She performed pieces in the traditional style of Bharatanatyam that celebrates movement, the art of lyrical expression, the performance space and life itself. Starting with movement, the final dance sought the bliss of oneness with creation. Heenal Amin, Archana Ballal, Dhruti Dattani, Yamuna Devi, Khavita Kaur, Arunima Kumar, Ash Mukherjee, Jesal Patel, Seeta Patel, Revanta Sarabhai, Javed Sanadi, Shivani Sethia and Gauri Sharma Tripathi. Big Dance 2012, Indian Centre for Cultural Relations (ICCR), The Nehru Centre, Incredible India and Arts Council England.